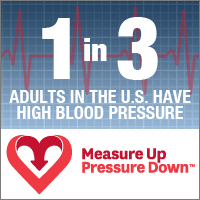 National Day of Action: Roll Up Your Sleeves! 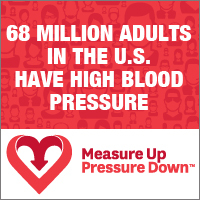 Show your support of the Measure Up/Pressure Down® campaign and educate visitors to your website about high blood pressure by adding a web banner or badge to your site. To post to your website, copy the code next to the badge or banner below. 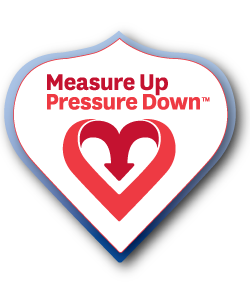 All banners link to the Measure Up/Pressure Down® website where visitors can find more information about high blood pressure, the risks it poses, and what people can do to prevent and manage it. Did you use this badge?